Delicious Sushi Recipes, How to Make All Types of Rolls, Nigiri, Inari. Paying too much for a few rolls? Want better than the packaged sushi at the grocery store? 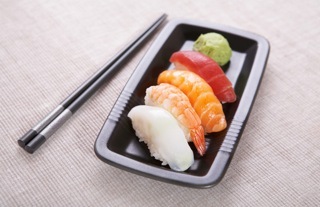 Learn and obtain everything you need to enjoy sushi and impress your family and friends. If you are looking for basic sushi recipes with information about how to make it at home, this site provides you with everything you need to make really good sushi from a Japanese American nise (nee-se means: second generation). Yoroshiku!